A message from Becca: get to know our staff at our May Day celebrations! So here’s Becca’s round-up of our staff team again, in case you missed it! Please join me in thanking Becca and the team from the bottom of our hearts for their commitment to our children, which is truly unique. “At playgroup we have the pleasure of getting to know your children by spending time with them. Getting to know their likes, dislikes, things that make them happy and occasionally sad. It is the exceptional staff team that we have though that makes all the good things we have to offer possible. Pauline is one of the two Deputy Supervisors. Her ability to think around problems and find solutions is exceptional. Julia is the other Deputy and her strengths includes her ability to impart knowledge to children in a way they can understand. Sophie is truly exceptional with the younger children. Sarah’s creative flair has enriched the playgroup environment beyond compare. Donna has settled perfectly into our setting and her calm consistency brings much stability. 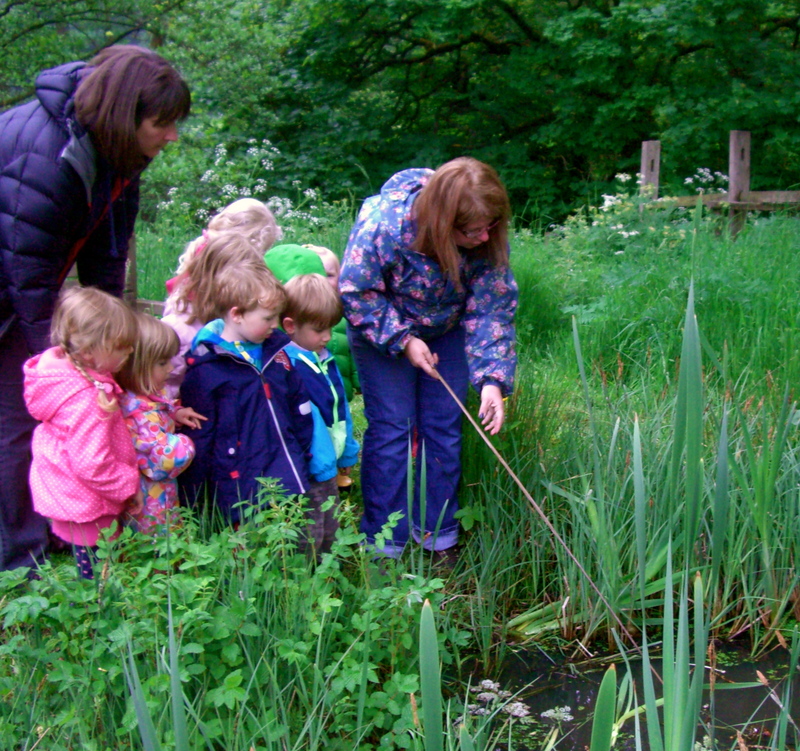 Rachel (Wednesday Forest School leader) offers gentle assurance to the children. 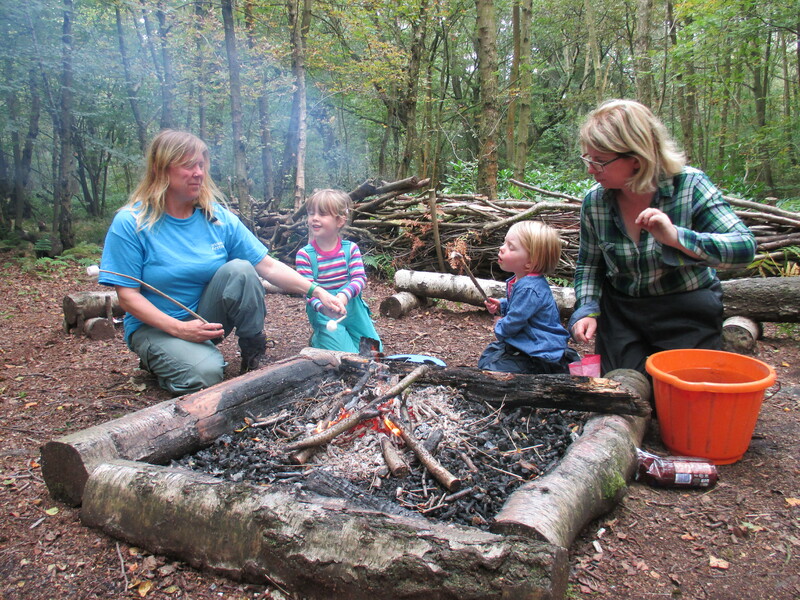 Hattie (Woodland Adventure leader and Friday Forest School leader) is comfortable to allow the children to play and explore their own abilities. And Liz – her commitment to playgroup for over 20 years is simply astounding. There is so much more to say about each of them, but I would invite you to discover for yourselves. One way of doing this is to contact them in the capacity of your child’s key worker directly, speak to them in a morning or seek them out at the end of the day. Another way is to join us on Friday May 1st 12 noon for our May Day celebrations. Bring a picnic and join us for a chance to talk to each other in an unhurried way. And by the way one of my strengths….? Positivity. What’s yours? Come and tell us next Friday!! This entry was posted in Uncategorized on April 26, 2015 by mrsjanecampbell. All the staff are fab! Thank you for making so many memories with the little ones…. My little boy loves it ‘mud kitchen (GEP) fun, more mud kitchen; show Daddy!’ Think that sums it up! We had truly magical time at the May day picnic, who arranged the helicopter? !